EPA 30 MPG Hwy/23 MPG City! CARFAX 1-Owner, LOW MILES - 34,615! Heated Leather Seats, Nav System, All Wheel Drive, Turbo Charged Engine, WHEELS: 9.0" X 19" FORGED 5-ARM STAR.. BANG & OLUFSEN SOUND SYSTEM, S SPORT SEAT PACKAGE AND MORE! 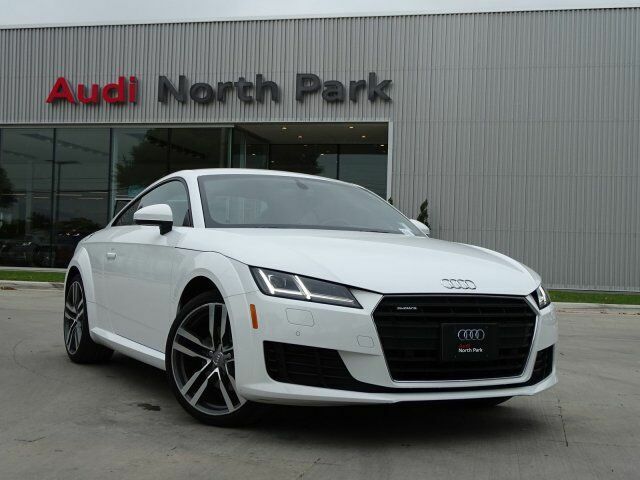 Leather Seats, Heated Driver Seat, Turbocharged Audi 2.0T with Ibis White exterior and Black interior features a 4 Cylinder Engine with 220 HP at 4500 RPM*. TECHNOLOGY PACKAGE Audi Side Assist, Parking System Plus (Front/Rear Acoustic Sensors), Audi Connect w/Online Services, 6-month trial subscription, Rearview Camera, Audi MMI Navigation Plus, Auto-Dimming/Power-Folding Heated Exterior Mirrors, LED turn signal repeaters, S SPORT SEAT PACKAGE S Sport Seats, 12-way power seats w/4-way power lumbar adjustment, WHEELS: 9.0" X 19" FORGED 5-ARM STAR DESIGN Gray polished finish, Tires: P245/35R19 93Y Summer Performance, BANG & OLUFSEN SOUND SYSTEM 680W, 12 speakers. Rear Spoiler, MP3 Player, All Wheel Drive, Keyless Entry, Steering Wheel Controls, Electronic Stability Control, Electrochromic rearview mirror.